I’m definitely biased. Being named after a place is going to have that effect. A little vain? Perhaps. 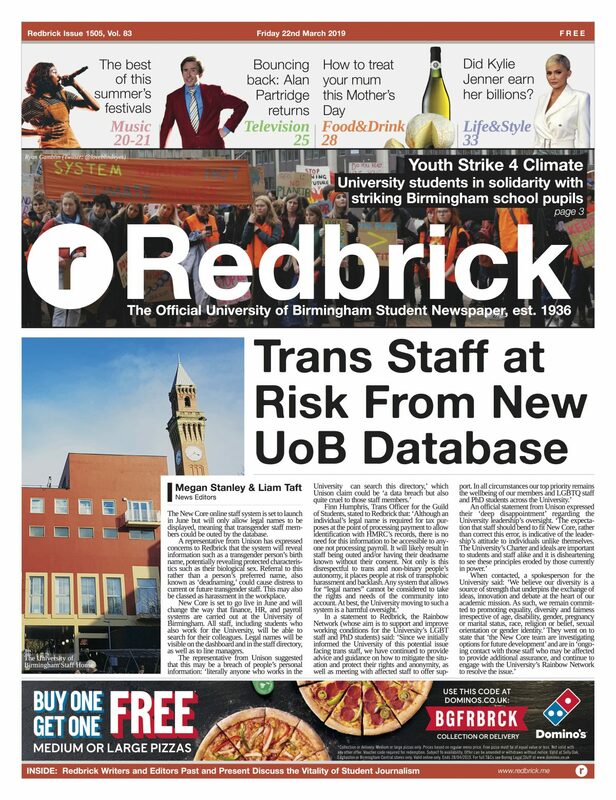 But unwarranted? Not at all. The Isles of Scilly are an archipelago 45km off the coast of Cornwall. Whilst close to home, even if it is a little cliché, they really do feel like another world. 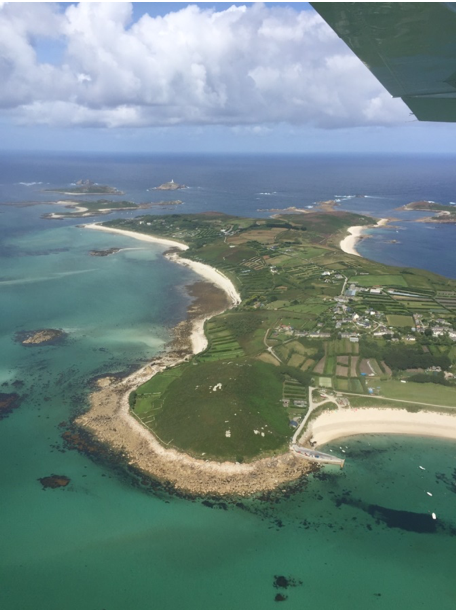 The unique location of the Scillies in the gulf stream means that they benefit from a milder climate than the rest of the UK, resulting in an incredible diversity of animal and plant life. I’m no David Attenborough, but walking the quiet streets, surrounded by the intoxicating scent of sweet-smelling semi-tropical flowers makes me want to ditch my life on the ‘mainland’ (as the Scillonians call it) and live barefoot in nature with silver sand between my toes forevermore. There are five inhabited islands, with the largest being St. Mary’s which serves as the access point for all the off-islands. St Mary’s is the only island that allows people to drive but, being only 6.5km², it’s easily navigable by foot. The main settlement - Hugh Town - bustles with activity in the summer season, as locals and tourists alike browse the independent shops and boutiques. However, walking just ten minutes from the main high street takes you away from civilisation and inland to the lush countryside, where there are many hidden gems to be found such as the restaurant Juliet’s Garden with its home-made lemonade, and the traditional Kaffeehaus which serves great coffee with huge portions of apple strudel in a sea of cream. Whilst St Mary’s has a lot to offer, including horse riding and high-speed speedboat, exploring the off-islands brings a new sense of adventure and a change of pace. Most locals and regulars to the islands have their own boats for pottering around, but several launches a day serve the off-islands. This is probably my favourite thing about Scilly, having the chance to visit multiple islands each with their own feel and appeal. St. Agnes has a sea-front pub called The Turks Head with an incredible view and serves homemade ice-cream from Scillonian cows that even my lactose-intolerant self is ready to sell her soul for. St. Martins has endless pristine beaches, a vineyard and a hand-made jewellery shop; all this and the opportunity to go snorkelling with seals (Yes, wild seals!). Bryher is famous for its locally caught crab and scenic coastal walks, and finally the near-by island of Tresco has a world-famous tropical botanical garden based in the ruins of a Benedictine monastery and the New Inn which serves the best beef burgers in the world. Each island has its own unique feel and speciality, but all unite with an overriding sense of peace and calm. More often than not most beaches will be pretty empty, and you can even get a whole island to yourself by hiring Kayaks or a boat to go to one of the many uninhabited isles such as my namesake (the best view of the islands is from the top of the hill on Teän – just saying). Because of my family’s history with the islands, I’ve been lucky enough to visit them every year since I was born. Despite my love for international travel, something about Scilly will always draw me back. Don’t get me wrong - it is not always blue skies and sunshine. Without a doubt, every year a bank of fog and 40 mph winds will descend and turn a perfectly sunny day into Armageddon, but that’s the beauty of it. Like its weather, Scilly is always changing, whilst still retaining everything that makes it so special. 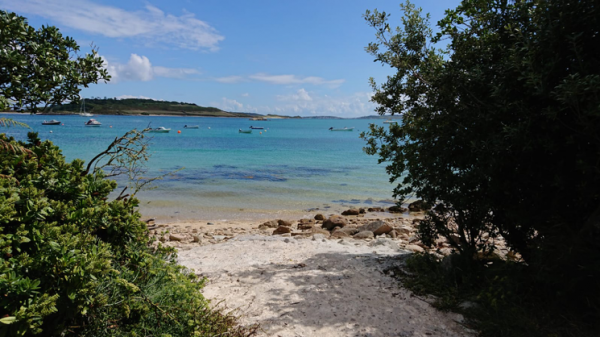 Just this past summer, my family and I discovered the Low Tide Event: a pop-up festival on the sandbank between Tresco and Bryher - which is only possible a few times a year during the Spring Tides. At midday, we were munching on fresh lobster sandwiches and enjoying the live band, and by the late afternoon we were sailing over the same spot where we had been eating lunch just a few hours before, now under ten feet of water.